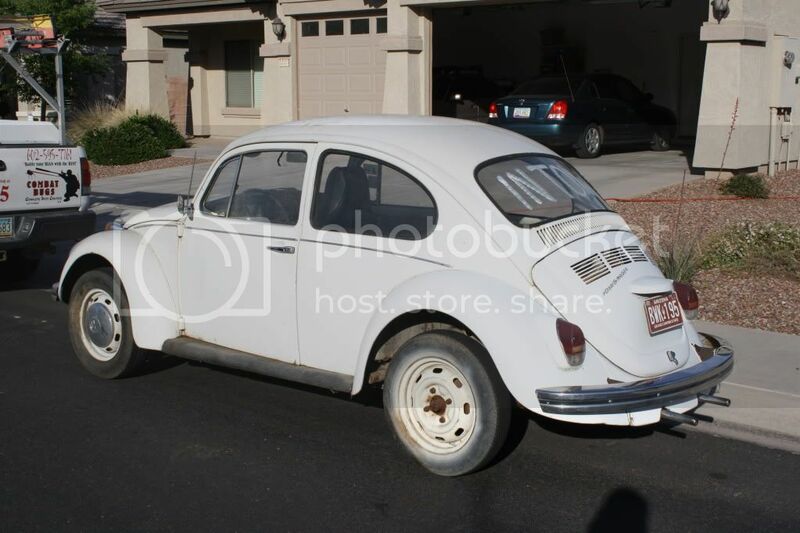 seek out advise here to see if there are signs that would tell me that my bug wouldn't be good to convert into a baja. I mean are there any signs that one would look for in a bug that would say "you are going to spend way too much money and it would be better to get another bug to turn into a baja"? Just thought I would see what the experts thought. Well im no expert, im a noob myself. But you might want to post pictures if you can. A lot of bugs seem to be made into bajas due to damage on the front end or back end, and its cheaper to cut it off than to fix it. If you have a nice straight street car, it might be a shame to cut it up. Do pictures have to be from an URL? Cause I can't seem to get picts on here. My bug isn't anything great. I can tell that it did bump into something because the driver side of the front bumper is slightly bent and under the fender the body is wrinkled. This bug has been sitting for 15 years. I figure that for either a street car or a baja it would need work and why go for a street car when you can have a baja? Right? It's the easiest way to post them, but I'm not sure it's the ONLY one. It's very easy to start a photobucket.com account to host your pics for posting on this and other sites, and it's free. Sites like this don't want the storage issues of having members upload their pics to the site server. Street cars are fun, but there's a lot more fun to be had when you can go OFF road too! Someday, I'll have the time to finish mine and be able to go off-roading more with it, lol. (No comments from the peanut gallery, please). With the copilot. I agree. Unless there is structural rust damage go for it. Ok, I didn't quite understand the peanut gallery comment or the even that is on the 6th but here are some picts of what I have. [quote="tdubs-83"]Ok, I didn't quite understand the peanut gallery comment or the even that is on the 6th but here are some picts of what I have. Sorry that was kind of a threat hijack. We have an AZbaja playday on the 6th of next month. Its listed in the events section. So now that the picts are up, is there any thing I should look for that would tell me its not worth it? From those pics I dont see anything to keep you from making a decent Baja out of it. Even looks like a good canidate for a class 11 type baja. Combat Bugs! That's great! That bug looks like a fresh canvas. The peanut gallery is your fellow AZBAJA members. That bug looks solid. How are the brakes, suspension, motor and transaxle? That's funny. I didn't even notice the bugman truck in the pict. Out of those 4 items I only know that the suspension is in ok shape because I have stood on the bumpers to test them out. 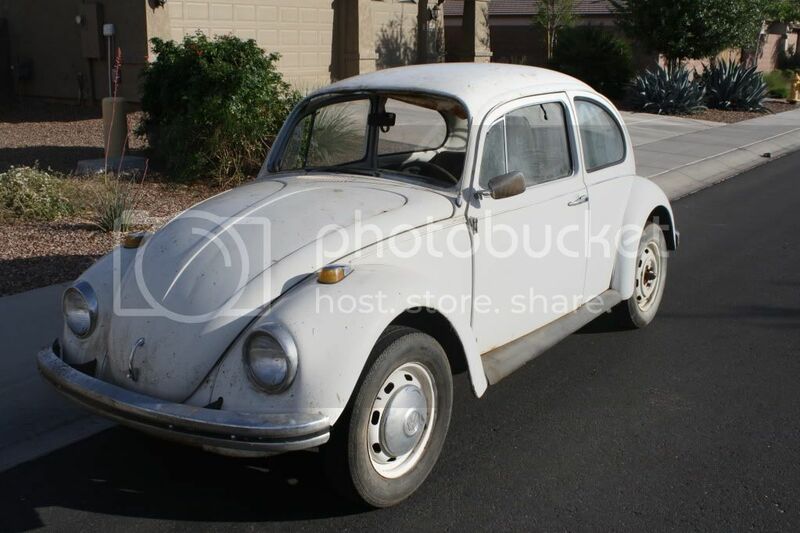 All I have done with this bug is tow it from Phx down to Maricopa. The guy I got it from parked it 15 yrs ago, pulled the plugs from the motor and the carburator was removed as well. So i don't really know what the engine condition is other than it exists. I also know the parking brake works. But I really haven't dived into this bug yet. 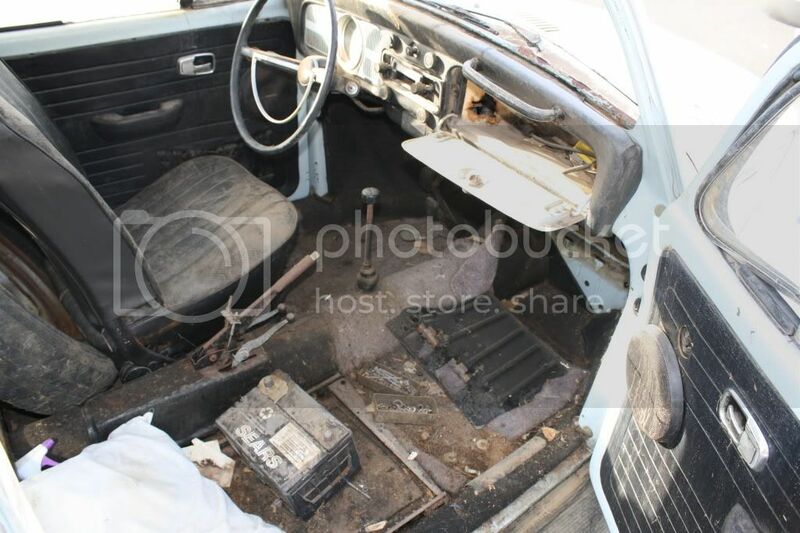 I was thinking of a Class 11 baja at first but utlimately would want something a little more beefy so i don't know if I should go in stages or just build what I ulitmately want, knowing it would take me much longer to get it on the road due to funding.